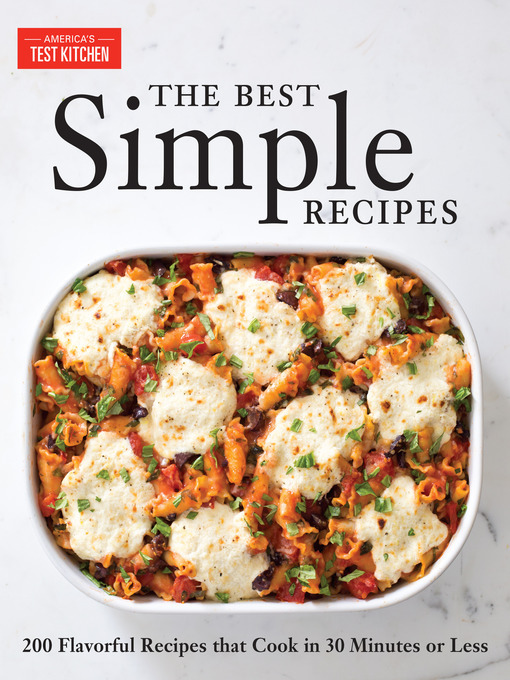 The Best Simple Recipes offers more than 200 full-flavored easy-to-prepare recipes that can be on the table in 30 minutes or less in an easy-to-read paperback format. Just because time is short, it doesn't mean you have to settle for a can of soup or a sandwich for dinner, or making one of the many boring and flavorless fast recipes (which often aren't even as fast as they promise). Our test cooks have created more than 200 recipes that keep the ingredients and cooking time to a minimum and offer tons of flavor and plenty of variety. By combining steps, minimizing pans, and employing a little test kitchen trickery, our test cooks have made naturally fast recipes even faster, and they've made recipes that traditionally take hours ready for the table in half an hour. And while they used a minimum of ingredients, one thing they didn't minimize was flavor.